The Underdark is a subterranean wonderland, a vast and twisted labyrinth where fear reigns. It is the home of horrific monsters that have never seen the light of day. It is here that the dark elf Gromph Baenre, Archmage of Menzoberranzan, casts a foul spell that suffuses the Underdark and tears open portals to the demonic Abyss. What steps through surprises even him and the insanity that pervades the Underdark threatens to shake the Forgotten Realms to its foundations. Dare players to descend into the Underdark and stop the madness! 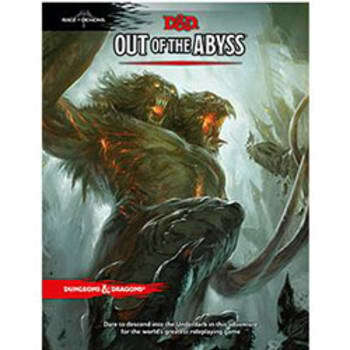 For use with the fifth edition Player's Handbook, Monster Manual, and Dungeon Master's Guide, this book is conceptually similar to the adventure, Elemental Evil Princes of the Apocalypse, providing the adventure and support rules information needed by Dungeon Masters for the Rage of Demons storyline.